Apple phones are everywhere all over the world. There is perhaps one iPhone user for every corner you turn in your town. One of the big issues for these users, though, is the smart phone’s battery life. For instance, iPhone 6 battery lifespan can be too short for someone who uses it for work or regular social media browsing. It’s important that you know how much power your phone can store in a day. This saves you the inconvenience of having to recharge multiple times a day and having to bring your charger everywhere you go. 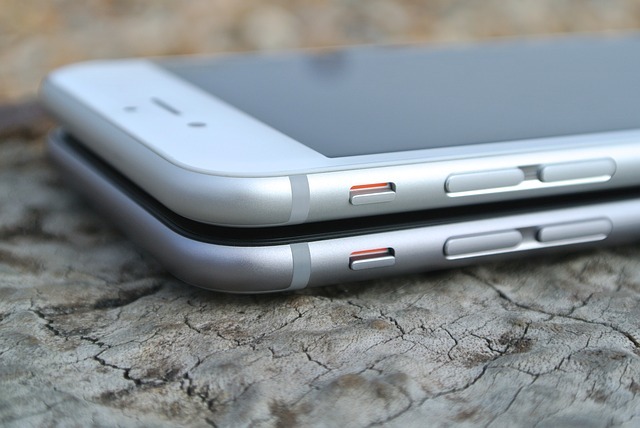 What are the things you need to know about iPhone 6 and its battery? And are there any ways you can extend its power for a few hours? These questions will be answered in this article. Read on and learn with us. iPhone batteries are very unique, compared to those of other smart phones. They are rechargeable but non-removable. However, there is no doubt about battery technology being overly complicated. It’s not as easy as consumers think. Because we all want advances in app development, speedy processors, innovative cameras and sleek designs, the battery life is always put at stake. The manufacturers devote a lot of time thinking how much energy the batteries have to exert and keep at the same time. Through the years, Apple has made sure that each new iPhone is high performing in terms of processor, design, and built-in apps. But how well does it compete with other brands and operating systems in terms of battery life? iPhone 6 turned out to be slimmer than the previous models that Apple released. For some, it’s fascinating to know how much power it can actually hold. Certain battery testing processes are done by phone enthusiasts to give honest reviews on a phone’s performance. What these groups do is they open apps or websites on the phone’s browser and stays there for a minute and see how much power the battery loses. As per iPhone 5s, the last version before iPhone 6 was born, the battery life recorded was at 5 hours and 46 minutes. That is relatively too short for a phone that’s considered a luxury by many. Apple says iPhone 6 has a total of 10 hours of Internet usage with LTE connection, and 11 hours of playback for videos. This runs an overall life of about 7 hours and 27 minutes. 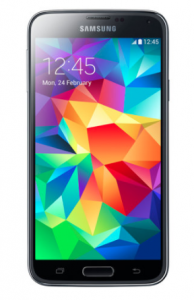 One of iPhone 6’s strongest direct competitors is Samsung Galaxy S5. The two were released almost at the same time. The Galaxy S5 has a 2,800-mAh battery which has quite a bigger capacity than iPhone 6’s 1,810-mAh battery. Another good competitor is Galaxy Note 3, still by Samsung. Its battery is at 3,200 mAh and can last up to 9 hours and and 57 minutes, even with the brightness at maximum level. LG’s G3 has also been a famous choice, but its battery life doesn’t come at par with iPhone 6’s. It only has a 3,000 mAh battery but only lasted for a total of 6 hours and 10 minutes. Even with these battery test results, a lot of people still go for iPhones. There is indeed more to it than battery life. On the other hand, some users prefer Samsung phones because the batteries are all removable. So if the battery gets permanently drained or damaged, they can easily replace it with a new one. So, if iPhone 6 appears to perform lower than Android phones of the same specs, are there ways we can somehow compensate for the battery life? The answer is yes! We enjoy the perks of having an iPhone too much that we easily get annoyed when it starts losing life halfway through your day. However, rather than complaining about this complex technology you know so little about, try some easy measures to keep your phones alive. Let’s go about a few methods you can try to extend your battery life! First is by disabling your WiFi. This is the most basic measure anyone can take. We’re pretty sure you know you have to stop connecting to the WiFi when your battery icon turns red. Speaking of WiFi, you can also try to enable the WiFi Assist feature on your phone. This feature automatically switches your Internet connection from WiFi to cellular data. This way, your phone will no longer connect to the WiFi when your battery is too low, preventing it from turning off so suddenly. Do this by going to Settings, tapping on Cellular and turning on the WiFi Assist by sliding on the switch. Likewise, you can also turn off your Bluetooth as it eats up power too. If you don’t need to connect to another device through it, then just leave it off. There is a new version of Bluetooth that is in a low power mode – Bluetooh 4.1. This doesn’t drain your battery too strongly, but if you leave it open, it still might. So the best bet is to just turn it off altogether. The second method that works wonders is turning on the Low Power Mode. For iOS 9 users, you would usually see a prompt pop up suggesting that you enable this mode. Just tap on OK and you’ll be able to save battery life. What this mode does is it turns off all apps and processes that drains the power the most. It usually prompts you when the battery is at 20% and 10%. But if you want to set this permanently, you can by going to Settings, tapping on Battery and sliding the switch to turn on the Low Power Mode. The third method is by disabling the Motion Effects. Did you know there is such a thing? You may not notice, but your app icons on your interface are slightly moving. Apple calls this the parallex effect. It makes the icons appear cooler when you slide throught them. Likewise, you can also get rid of the moving backgrounds. Yes, there are certain backgrounds that move subtly to look more dynamic. You don’t really need this when you’re out of power, so just turn it off. Do this by going to Settings, then tapping Wallpaper, then choosing a wallpaper from the Stills tab. The fourth method is by turning off your 4G connection. This kind of connection helps maintain quick browsing, but sadly, it drains your battery more than you know. If you do really need Internet, just stick to the standard 3G connection. 3G connection is still good anyway, just as long as you are in an area with great signal. To disable your 4G connection, just go to Settings, tap on Cellular, tap on Voice & Data, and just select 3G. Fifth is by turning off your Location Services. This iPhone feature enables other networks to find where you are using GPS. Some apps use this when they publish ads so they know which areas to target. If you don’t need to let others know where you are, then just disable this service. The GPS eats up a lot of power as it continues to search a location. To do this, just go to Settings, tap on Privacy, look for System Services, and then turn it off by sliding through the switch. Sixth is by disabling Siri. We all know how handy and helpful Siri gets when we need information or perhaps just someone to talk to when we’re bored. However, Siri can be a cause for low power too, especially when she connects to the Internet to look for answers. She’s a default on all iPhones but you can disable her for a while when you need more battery. Do this by going to Settings, tapping on General, tapping on Siri and then sliding through the switch to turn off. In summary we have discussed iPhone 6 battery life and how it goes head to had with the batteries of other smart phones. Indeed the competition among them is tight, but iPhone 6 still proves to be a go-to and a favorite. Even with the annoyance of having to recharge multiple times a day, people from all over the world stays with iPhone because of its overall performance. Perhaps these people just stopped minding or got used to plugging. Whatever the reason is, it just goes to show how well iPhone 6 is performing in the market. As mentioned, there are a lot of ways you can extend your iPhone battery lifespan to more hours. These methods will not only prevent your phone from dying suddenly, but can actually save you from cutting an important phone call or email exchange.